Brno ( ; [ˈbr̩no], German: Brünn) is the second largest city in the Czech Republic by population and area, the largest Moravian city, and the historical capital city of the Margraviate of Moravia. Brno is the administrative center of the South Moravian Region in which it forms a separate district (Brno-City District). The city lies at the confluence of the Svitava and Svratka rivers and has about 400,000 inhabitants; its greater metropolitan area is home to more than 800,000 people while its larger urban zone had a population of about 730,000 in 2004. The most visited sights of the city include the Špilberk castle and fortress and the Cathedral of Saints Peter and Paul on Petrov hill, two medieval buildings that dominate the cityscape and are often depicted as its traditional symbols. The other large preserved castle near the city is Veveří Castle by Brno Reservoir. This castle is the site of a number of legends, as are many other places in Brno. Another architectural monument of Brno is the functionalist Villa Tugendhat which has been included on the UNESCO list of World Heritage Sites. One of the natural sights nearby is the Moravian Karst. The etymology of the name Brno is disputed. It perhaps comes from Old Czech brnie 'muddy, swampy.' Alternative derivations are from a Slavic verb brniti (to armour or to fortify) or a Celtic language spoken in the area before it was overrun by Germanic peoples and later Slavic peoples (this theory would make it cognate with other Celtic words for hill, such as the Welsh word bryn). Throughout its history, Brno's locals also referred to the town in other languages, including Brünn in German, ברין (Brin) in Yiddish and Bruna in Latin. The city was also referred to as Brunn (English: ) in English, but this usage is not common today. In 1243 Brno was granted the large and small city privileges by the King, and thus it was recognized as a royal city. In 1324 Queen Elisabeth Richeza of Poland founded the current Basilica of the Assumption of Our Lady which is now her final resting place. In the 14th century, Brno became one of the centres for the Moravian regional assemblies, whose meetings alternated between Brno and Olomouc. These assemblies made political, legal, and financial decisions. Brno and Olomouc were also the seats of the Land Court and the Land Tables, thus they were the two most important cities in Moravia. From the mid 14th century to the early 15th century the Špilberk Castle had served as the permanent seat of the Margraves of Moravia (Moravian rulers); one of them was elected the King of the Romans. In the 15th century Brno was besieged in 1428 and again in 1430 by the Hussites during the Hussite Wars. Both attempts to conquer the city failed. In 1641, in the midst of the Thirty Years' War, the Holy Roman Emperor and Margrave of Moravia Ferdinand III commanded permanent relocation of the diet, court, and the land tables from Olomouc to Brno, as Olomouc's Collegium Nordicum made it one of the primary targets of Swedish armies. In 1642 Olomouc surrendered to the Swedish army which then stayed there for 8 years. Meanwhile, Brno, as the only Moravian city which under the leadership of Jean-Louis Raduit de Souches managed to defend itself from the Swedes under General Lennart Torstenson, served as the sole capital of the state (Margraviate of Moravia). After the end of the Thirty Years' War (1648), Brno retained its status as the sole capital. This was later confirmed by the Holy Roman Emperor Joseph II in 1782, and again in 1849 by the Moravian constitution. Today, the Moravian Land Tables are stored in the Moravian Regional Archive, and they are included among the national cultural sights of the Czech Republic. During the 17th century Špilberk Castle was rebuilt as a huge baroque citadel. In the 18th century Brno was besieged by Prussians in 1742 under the leadership of Frederick the Great, the siege was ultimately unsuccessful. In 1777 the bishopric of Brno was established; Mathias Franz Graf von Chorinsky Freiherr von Ledske was the first Bishop. Gregor Mendel conducted his groundbreaking experiments in genetics while he was a monk at St. Thomas's Abbey in Brno. In 1919, after World War I, two neighbouring towns, Královo Pole and Husovice, and 21 other municipalities were annexed to Brno, creating Greater Brno (Czech: Velké Brno). This was done to dilute the German-speaking majority of close to 55,000 by addition of the Slavic communities of the city's neighborhood. Included in the German-speaking group were almost all of the 12,000 Jewish inhabitants, including several of the city's better known personalities, who made a substantial contribution to the city's cultural life. Greater Brno was almost seven times larger, with a population of about 222,000 - before that Brno had about 130,000 inhabitants. 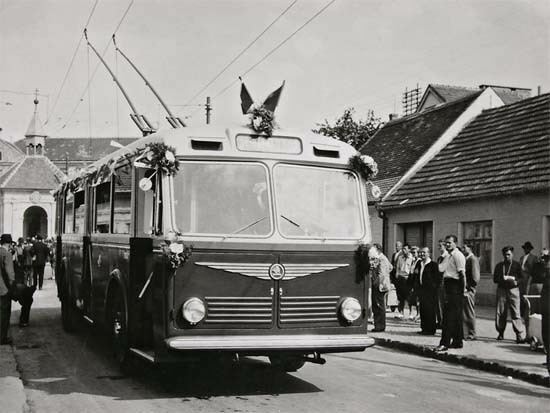 During the German occupation of the Czech lands between 1939 and 1945 all Czech universities including those of Brno were closed by the Nazis. The Faculty of Law became the headquarters of the Gestapo, and the university dormitory was used as a prison. About 35,000 Czechs and some American and British prisoners of war were imprisoned and tortured there; about 800 civilians were executed or died. Executions were public. Brno is located in the south-eastern part of the Czech Republic, at the confluence of the Svitava and Svratka rivers and there are also several brooks flowing through it, including the Veverka, Ponávka, and Říčka. The Svratka River flows through the city for about 29 km (18 mi), the Svitava River cuts a 13 km (8 mi) path through the city. The length of Brno is 21.5 km (13.4 mi) measured from the east to the west and its overall area is 230 km2 (89 sq mi). Within the city limits are the Brno Dam Lake, several ponds, and other standing bodies of water, for example reservoirs in the Marian Valley or the Žebětín Pond. Brno is surrounded by wooded hills on three sides; about 6,379 ha (15,763 acres) of the area of the city is forest, i.e. 28%. Due to its location between the Bohemian-Moravian Highlands and the Southern Moravian lowlands (Dyje-Svratka Vale), Brno has a moderate climate. Compared to other cities in the country, Brno has a very high air quality, which is ensured by a good natural circulation of air; no severe storms or similar natural disasters have ever been recorded in the city. Under the Köppen climate classification, Brno has a borderline oceanic climate (Cfb) and a humid continental climate (Dfb) with cold winters and hot to warm summers. However, in the last 20 years the temperature has increased, and summer days with temperature above 30 °C (86 °F) are quite common. The average temperature is 9.4 °C (49 °F), the average annual precipitation is about 505 mm (19.88 in), the average number of precipitation days is 150, the average annual sunshine is 1,771 hours, and the prevailing wind direction is northwest. The weather box below shows average data between years 1961 and 1990. Its height above sea level varies from 190 m (623 ft) to 425 m (1,394 ft), and the highest point in the area is the Kopeček Hill. By law Brno is a statutory city; it consists of 29 city districts (administrative divisions, cz: Městské části) the highest body of its self-government is the Assembly of the City of Brno (cz: Zastupitelstvo města Brna). The city is headed by the lord mayor (cz: primátor); he or she has right to use the mayor's insignia and represents the city outwards. As of, the lord mayor is Petr Vokřál. The executive body is the city council (cz: Rada města Brna) and local councils of the city districts; the city council has 11 members including the lord mayor and his four deputies. The assembly of the city elects the lord mayor and other members of the city council, establishes the local police, and is also entitled to grant citizenship of honour and the Awards of the City of Brno. The head of the Assembly of the City of Brno in personal matters is the Chief Executive (cz: Tajemník magistrátu) who according to certain special regulations carries out the function of employer of the other members of the city management. The Chief Executive is directly responsible to the Lord Mayor. 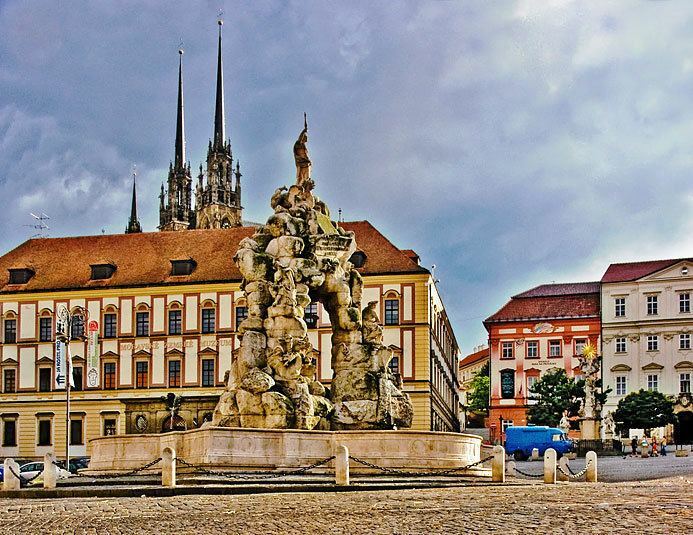 Brno has hundreds of historical sights, including one designated a World Heritage Site by UNESCO, and eight monuments listed among the national cultural heritage of the Czech Republic. Majority of the main sights of Brno are situated in its historical centre. The city has the second largest historic preservation zone in the Czech Republic, the largest one being that of the Czech capital Prague. However, there is a considerable difference in the size of historical preservation zones of both cities. While Brno has 484 legally protected sites, Prague has as many as 1,330. Brno has the oldest theatre building in Central Europe, the Reduta Theatre at Zelný trh (en: the Vegetable Market). So the city has a long tradition in theatre productions, the first theatre plays in Brno took place probably in the 1660s in the City Tavern, today's Reduta Theatre; however, the first "real theatre" with theatre boxes was built in 1733 in this complex. The first documented professional Czech performance took place in 1767 again in the Reduta Theatre, the play was called Zamilovaný ponocný (en: Watchman in Love) and was performed by the Venice Theatre Company; the same year Mozart performed in the theatre with his elder sister Anna Maria (Nannerl). In that year the Mozart family spent Christmas in Brno, this rare visit is commemorated by a statue of Mozart as a child in front of the Reduta Theatre; also the Reduta's Mozart Hall (cz: Mozartův sál) was named after him. Theatres in Brno experienced a long development and the current seats of the theatres and their artistic ensembles might be considerably different from the original ones, for example the Mahen Theatre was originally called the City Theatre and until 1918 it performed exclusively in German and also it was not part of the National Theatre in Brno, there was similar situation regarding the Reduta Theatre. Between 1971 and 1978 some plays were performed at the Brno Exhibition Centre due to reconstruction of the Mahen Theatre. 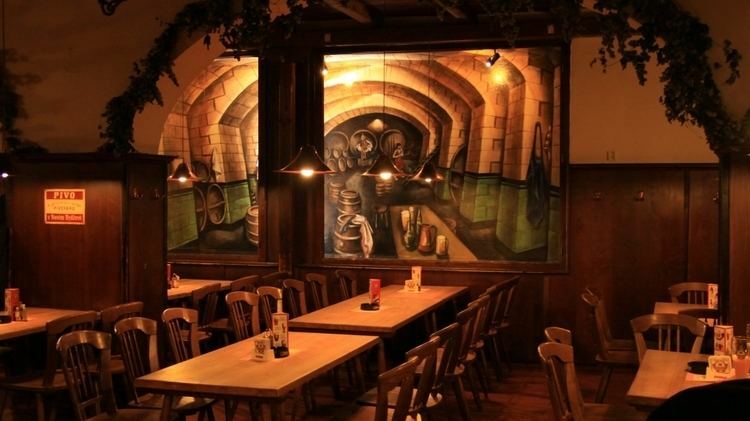 There are several legends connected with the City of Brno; one of the best known is the Legend of the Brno Dragon. It is said that there was a terrible creature terrorizing the citizens of Brno. The people had never seen such a beast before, so they called it a dragon. They trembled in fear of the dragon until a brave man decided to kill the monster by tricking it into eating a carcass filled with lime. In reality the dragon was a crocodile, the preserved body of which is now displayed at the entrance of the Old Town Hall. Crocodile motifs are common in Brno. A "krokodýl" (crocodile in Czech language) is the local stuffed baguette, and the city radio station is known as Radio Krokodýl. 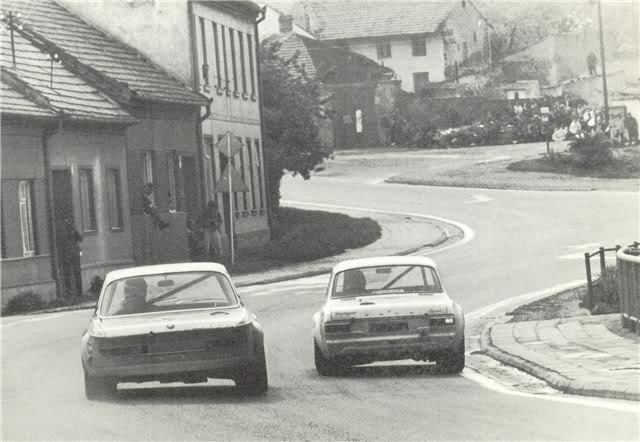 There is also a horse-race course at Brno-Dvorska and an aeroclub airport in Medlánky. Several sports clubs play the highest Czech league, respectively. For example, (football) FC Zbrojovka Brno, (ice hockey) HC Kometa Brno, (team handball) KP Brno, men and women basketball teams, four baseball teams (AVG Draci Brno, Hroši Brno, VSK Technika Brno, MZLU Express Brno), American football team (Brno Alligators), two rugby teams (RC Dragon Brno, RC Bystrc) and others. Tennis player Lucie Šafářová comes from Brno as well as Lukáš Rosol, who managed to beat top-player Rafael Nadal in the second round of the 2012 Wimbledon Championships. Michal Březina, one of the best Czech figure skaters, also comes from Brno. Air transport is enabled by two functional airports. One of them is the public international airport Brno-Tuřany Airport. Passenger traffic at this airport has experienced a large increase in recent years, regular flights fly from there to London, Eindhoven and Munich, the airport also serves as one of two bases for police helicopters in the Czech Republic. The other local airport is a small domestic airport serving mainly recreational activities such as flying hot air balloons, gliders or aircraft RC models.